Ask most business owners if creating a company website is a one-time deal and they’ll look at you like you’re off your rocker. Website maintenance is a constant issue for any company with a web presence. Whether it needs optimizing, updating or having glitches removed, improving and expanding your company’s website can be a never-ending process. In the past, a common complaint with Parasec’s website has been that it doesn’t function well with the Firefox platform. When we originally developed our site, Firefox was a seldom-used platform and therefore it wasn’t taken into consideration during programming. Obviously, Firefox is now a very significant platform and as such we decided it was high time for us to stop and address the issue. We were concerned that rectifying the problem could become very costly as we really had no idea where the problem lay. It was one of the reasons we procrastinated a bit on taking care of the issue. As it turned out, the problem was identified very quickly and was fixed with a minimum of time and expense. It was at this point that I thought, “Gosh, we should have done this a long time ago!” Then again, hind sight is always 20/20. 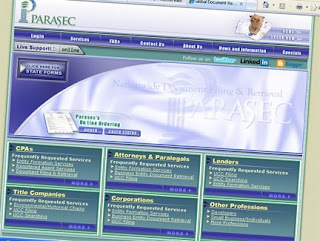 So, the great news is that Parasec’s website should be highly compatible with Firefox now. If anyone continues to experience any difficulties, please let us know and we’ll address them immediately. Our thanks for everyone’s patience while we resolved the problem.